As of 19.09.2018 the law that regulates the applications for Turkish citizenship was amended. With the mentioned amendment, becoming Turkish citizen for foreigners got a lot easier and less costly. From now on, foreigners have to show a fixed capital investment amount of at least $500.000 to become a Turkish citizen. This used to be 2 million USD. 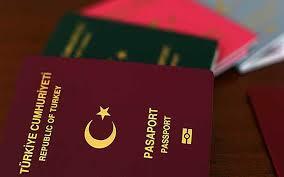 The foreigners who wish to become a citizen of the Republic of Turkey have several ways to become a citizen. One of which is owning a property in Turkey and guaranteeing that they will not be selling the mentioned property for three years. The value of this property needed to be at least 1 million USD, which is now reduced to 250.000USD. Another way of becoming a Turkish citizen keeping a deposit of 3 million USD in a Turkish Bank which is now again reduced to 500.000 USD. Anyone who wish to apply for citizenship via a capital venture fund need to invest 500.000USD rather than 1.5 million USD. Foreigners who wanted to become a Turkish citizens used to undertake to employ 100 people. This number is also reduced to 50 people now. For more information and questions please email b.orhan@londonlegalint.co.uk Mrs Burcu Orhan Holmgren is the senior partner in London Legal International and is in charge of our Turkish Civil Law division. An Opportunity in Turkey for the Foreign Property Investors! !